It’s not easy to write a story in multiple voices and keep each one compelling and distinctive. 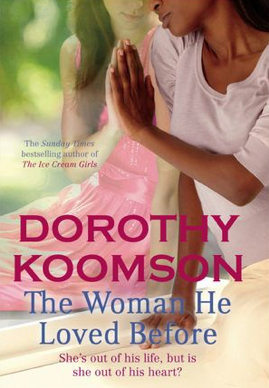 Dorothy Koomson deserves plaudits for pulling off that feat alone. We meet Libby first. A post-graduate beauty therapist who could do more with her life but is happy as she is thank you very much. At least she’s happy until she meets Jack, trips over his stunning good looks, falls for his charms and moves into his lavish Brighton home. For about two seconds everything is perfect. The tone in Libby’s opening is lyrical and quixotic. Fanciful with a whisper of something dark, like a shadow beneath the surface of a calm lake. You keep reading trying to pinpoint what has you uneasy. You’re not sure but Jack has too many secrets and once Libby begins to prod at them, to ask questions about his deceased first wife, you begin to wish she’d just pack her bags and get the hell out of there. And then you meet Eve, the dead wife. Turns out she kept a diary. Describing Eve’s life as eventful is like saying Anita Baker can hold a tune – a criminal understatement. Her life was calamitous, her death tragic, in her car crash existence Jack was the best thing that happened to her. Or was he? The answer will determine Libby’s fate. The three voices interweave – Jack, Eve and Libby – each character eager to tell their story, each filling in another piece of the puzzle. I’ll tell you right now, you won’t see the twists coming. And they are corkers. The dreamy, somnambulic tone that dominates the opening is long gone in the second half, substituted with straight edge-of-your-seat, it’s-behind-you-RUUUUN suspense. Remember The Usual Suspects? The moment you realised you’d been tricked and there was no Keyser Soze? It’s that kind of a twist. The ending will pump a fist in your stomach.